Update: Seminole State College faculty, staff, and students returned to school Monday, Sept. 18 after closing the campus for more than a week. The reaction of Seminole State College students and teachers to the approach of powerful Hurricane Irma appeared to depend on their previous experience with the storms. He also had some advice for any newcomers to Central Florida. “The best thing you can do is be prepared and make sure your family is safe,” he said. Pompura and others spoke with The Seminole Scribe on Thursday before the campus closed due to the hurricane. 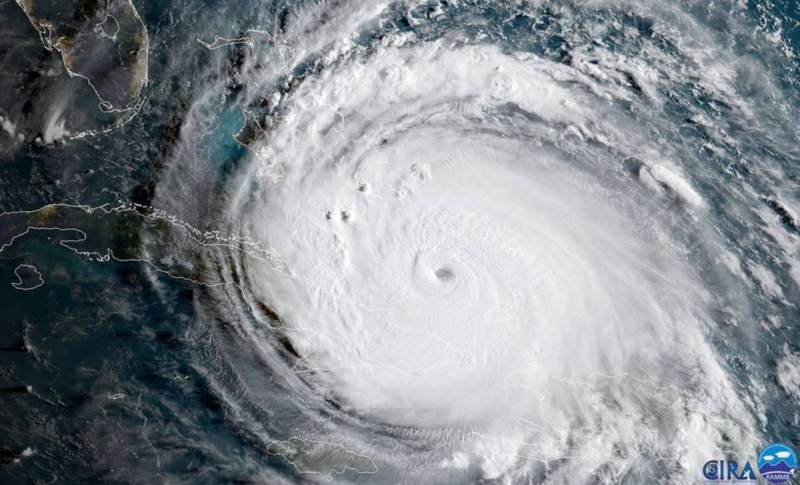 Meteorologists have described Hurricane Irma as one of the strongest storms on record, even more powerful than the destructive and deadly Hurricane Andrew, which hit South Florida in 1992. Irma’s track as of Friday has it hitting at the southern part of the Florida peninsula, then raging a northern trek directly through the Orlando area starting later on Sunday, Sept. 10, and into Monday. Seminole State College closed its campuses from today through Monday. The College urged employees and students to monitor the Seminole State Alert website (seminolestate.edu/alert/) for additional information as the storm nears. “In an emergency, the College’s Emergency Response Team will post important announcements, updates and resource information on this site,” read a statement on the website. Seminole State student Matthew Boyle said that during the storm he would join his father at the county emergency response center. “I’d rather be here to help damage control once it’s over,” he explained. David Moradian is professor and program manager for Entrepreneurship at Seminole State. He said he would be trying to prepare for his family and students. “I’m trying to extend the due dates, in case there’s no electricity, they cannot do any, you know, assignments online, so I extended assignments,” Moradian said. A student named Christina said she has lived here her entire life. Others were taking necessary steps. Mariah, 19, a mathematics education major at Seminole State, said this is her first experience with a hurricane. She moved here from New York. A Humanities major, Haile, 18, said she wasn’t too concerned because she’s been through it before and she said she feels safe in her house. “I just bought some water and filled up with gas a few days ago,” Haile said. Sarah, a full-time student, said she plans to do homework during the storm. She also said she waited for three hours at Publix to a shipment of water to arrive. Seminole State student Seymour Fox, 80, said he is “too old to worry. What will be will be.” He said he is staying home, but he is worried about one thing: whether his daughter and grand-daughters are taking enough precautions. Students Julia and Britney, both 18, said they were not too concerned. They may get some more water, but Julia said a previous hurricane, Matthew in 2016, caused people to be lackadaisical about hurricanes. Still, both women advised students to take care of themselves. “Stay safe, I hope no one gets hurt,” Britney said. Contributing to this story was Lillian Moore, David Savetman, Nicholas Rodriguez, Conner Wight, Angela LaCour, Brandon Paschall, Angela Becker, Emily Trosper, and Andrew Mack.